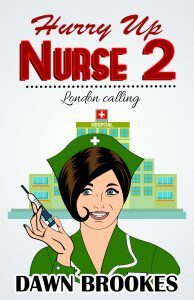 This sequel to Hurry up Nurse: memoirs of nurse training in the 1970s, follows the author to London in 1980. Here she takes up further nurse training at a hospital in the heart of the capital’s East End. The author moves into a nurses’ home so expect some antics as she and her new found friends settle in. This second book is another charming medical biography that includes humour and compassion as you would expect from this author. There is a lot of nursing and medical history to pack in as the experiences are set in a hospital specialising in heart and chest surgery. Cancer chemotherapy is in its infancy, open heart surgery is fast becoming routine and tuberculosis is ever present in the east end so there’s a lot to learn. Added to all of this is the enquiring mind of a young nurse who, having been told to avoid the hospital God squad does the exact opposite. There are some lovable characters in this book, from the charming Mr Robinson who sees potential in this lively young woman, now aged twenty-one, to the energetic Mrs Chang, the girls in the nurses’ home, the night porter and of course the patients’ who touch all of their lives. If you liked the first book in this series, you will love this one. “An accomplished writer, Dawn Brookes you have done it again. Couldn’t put it down, finished it in a day. I thought the first book was great but this one has surpassed it. I loved the writing style and felt like a fly on the wall throughout. Well done – I do hope there will be more.